From 1978 through the early 2000’s, the Friends of the Scranton Public Library Poetry Series brought nationally renowned poets to the Scranton area to read their work. 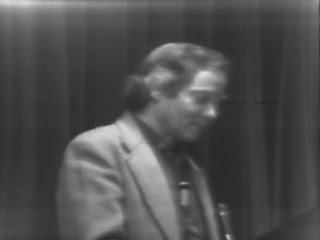 Poets included such literary giants as Lawrence Ferlinghetti, Gary Snyder, Robert Bly, Scranton native W.S. Merwin, and nearly 50 others. Most of these readings were filmed. Thanks to a grant from the Scranton Area Foundation, the library has restored the original films. They are now available for checkout on DVD at the Albright Library and are being streamed from the Lackawanna Valley Digital Archives.